Crown Royal Northern Harvest Rye hard to find in N.S. Those in Nova Scotia trying to get their hands on a bottle of Crown Royal Northern Harvest Rye Whisky might as well be looking for the Holy Grail. The Nova Scotia Liquor Commission has been struggling to keep the whisky on the shelves since it was named whisky of the year on Nov. 19 in Jim Murray’s Whisky Bible. Murray, a renowned British whisky writer, has published a list of his personal picks for the world’s best whiskies every year since 2004. This year is the first time that a Canadian whisky has received the award. It’s created a stir across Canada and Nova Scotia is no exception. It took Rachel Gray six trips to different NSLC locations in Halifax and two calls to private liquor stores in New Brunswick to get her hands on a bottle of Northern Harvest Rye as a present for her boyfriend. As soon as she heard that the NSLC had more in stock, she went to the Bayer’s Lake location hoping it wouldn’t be sold out. 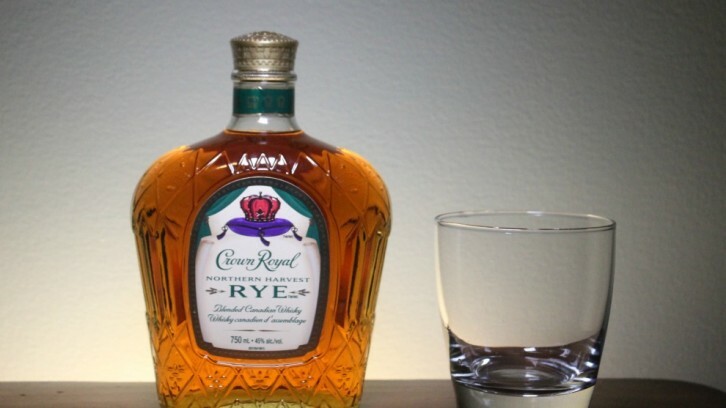 Crown Royal shipped 180,000 bottles of Northern Harvest Rye across Canada between October and December. The NSLC has sold 10,347 bottles of the whisky since it was released in the fall. A quick search on the NSLC’s website showed that there is currently only one bottle of the whisky left for sale at any of their locations. Halifax whisky enthusiast and manager of The Press Gang Restaurant and Oyster Bar, Wallace Fraser, says everyone, including restaurants and bars, are trying to get their hands on it. He says he likes the Northern Harvest Rye, but whether or not it’s the best whisky in the world comes down to personal taste. Crown Royal was taken by surprise at the award and has had to make changes to its production to keep up with demand. Northern Harvest Rye is a blend of other whiskies that were put in casks years ago, so while the distillery only produces a set number of bottles a year, Crown Royal is already preparing to ship more of the whisky to market. Alistair Kidd, brand director for whisky at Diageo Canada, the company that owns Crown Royal, says that new shipments of the Northern Harvest Rye should be on shelves in Nova Scotia and across Canada by the end of January. “We’ve increased our production schedule for Crown Royal Northern Harvest Rye for January through March, so that we can keep up with demand and give the stores the inventory they need to fill the shelves again,” says Kidd.